MacGORGG 2010 was a shining success! Our many thanks to the hosts, John and Shirley Burns, Led Astray, The Boys in the Band, and all attendees. This year's GORGG will be held in Vancouver, British Columbia, October 15-22, 2011. Below is the passing of the banner to GORGG 2011 co-hosts, Dave and Lana Matlock. 1. To physically assemble and perennially celebrate lasting friendships, and create new ones, each sharing a common love and admiration for thoughtful music. 3. An enthusiastic attempt by hundreds of people to somehow try and recognise a few people for doing what no one else has done, before or since. GORGG is NOT a Gentle Giant reunion! 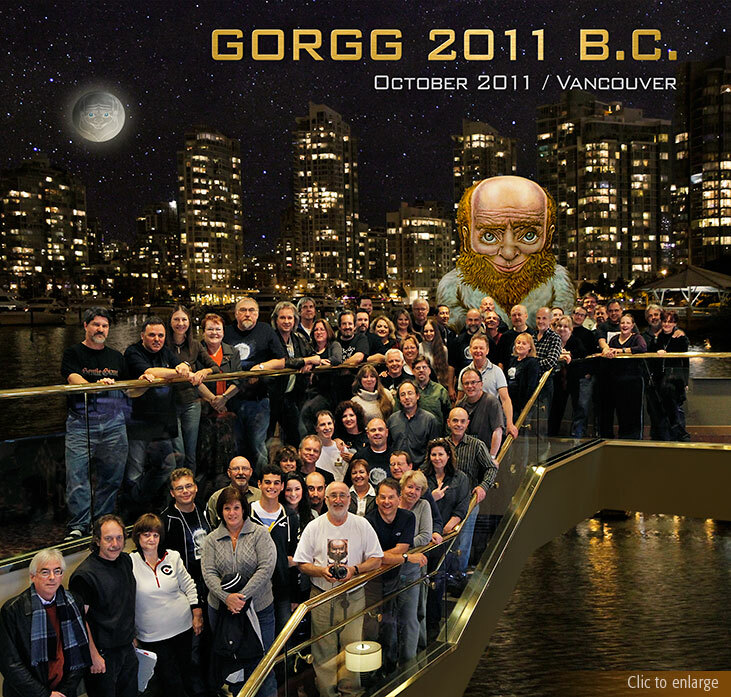 GORGG is a get-together for members of the On-Reflection internet list....and three friends (or more). 2. The spiritual and emotional bonding that arises from being a minority when the majority insists on the pejorative. 4. Oh and yeah, Gentle Giant should be mentioned in here too: We love you guys and your music, thank you so much. All material copyright © 2019 GORGG. All rights reserved.